﻿PCM Rescue helps local Pomeranians in distress find new homes. 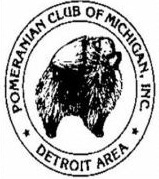 The Pomeranian Club of Michigan is dedicated to helping dogs in distress in the state of Michigan. We take dogs that would otherwise have trouble finding homes and rehabilitate them as best we can. We have experienced fosters that are patient and loving and we do our best to find the best home possible for each individual dog. We screen our potential adopters carefully which includes a vet check and possibly several interviews. So far we have been very successful in finding forever homes for our little charges. We are always in need of funds as we do go beyond the norm to get our dogs into good health. So if you have a few dollars that are just laying around we could use them! !